The Rhyne's, Ron, Landon and Mark! A proud Dad and proud Uncle! 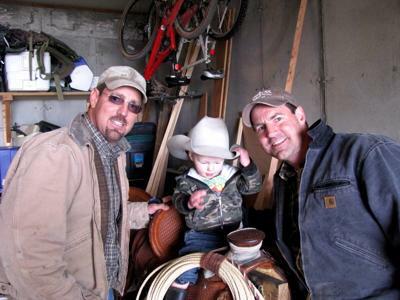 With the cutest little cowboy, Landon. Up at Ron and Lisa's place in Cora Wyoming. April 2009.